Lock Family Eye Care can diagnose and treat a wide range of ocular conditions, diseases and disorders. Nearsightedness - Nearsightedness, or myopia, occurs when either the eyeball or the cornea at the front of the eye is elongated instead of perfectly spherical. This causes images to come into focus in front of the retina instead of on the retina, making distance vision blurry. 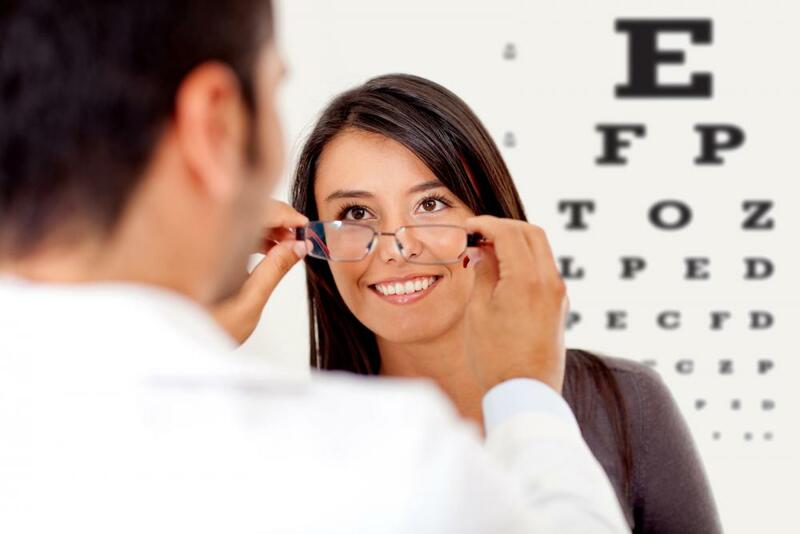 Your West Des Moines optometrist can test for nearsightedness and fit you with corrective lenses to compensate for it. Farsightedness - Farsightedness (hyperopia) is the opposite of nearsightedness; a foreshortening of the eye causes near vision to appear blurry. Eyeglasses or contact lenses can correct for farsightedness. Astigmatism - Astigmatism is a refractive error caused by irregularities in the corneal contours. While eyeglasses are the simplest means of correcting for astigmatism, contact lenses can also provide the necessary refractive compensation. Toric lenses, which are designed not to shift position or rotate on the eye, are a good contact lens choice for astigmatism. Presbyopia - Presbyopia is an age-related stiffening of the eye's lens that makes it harder to focus on near objects. We can treat presbyopia with multifocal lenses that provide correction for multiple distances. In addition to bifocal, trifocal and "progressive" eyeglasses, we can also provide you with multifocal contact lenses. Surgery Co-Management - If you choose LASIK surgery to correct any kind of refractive error, we can provide the necessary pre-operative and post-operative care, including follow-up exams to monitor your recovery. Glaucoma - Glaucoma is a progressive disease characterized by high fluid pressure within the eye, causing irreversible damage to the optic nerves. We can test for glaucoma using techniques such as tonometry to measure your eye pressure. If you do have glaucoma, we can get it under control with medication. Dry Eye - Dry eye can be caused by a variety of factors, from tear gland problems or underlying medical conditions to wind exposure. Symptoms include redness, itching, vision problems and a "foreign body sensation" in the affected eye. We can evaluate your tear production, lifestyle and medical history to discover the source of your dry eye. We can then treat the disorder by prescribing eye drops, changes in medications or medical treatment regimens, and environmental or lifestyle modifications. Computer Vision Syndrome - Computer vision syndrome is a form of eye strain, dryness and muscle fatigue stemming from constant use of computer monitors and mobile device screens. We can treat this problem by fitting you with specially tinted anti-glare computer glasses and by advising you on ways to modify your computer usage habits. Need an Optometrist in Waukee or West Des Moines? If you need a particular eye care service from an optometrist in Waukee, West Des Moines or surrounding areas, your search is over. Call us today to schedule an appointment!